Getting started with your journey on to two wheels couldn't be easier in Motherwell by taking CBT Training. Motherwell situated South East of Glasgow is quietly located away from the hectic large centre and has a large mixture of quiet residential streets, busy town centre and lovely country roads. CBT Training in Motherwell is situated south of the town centre, a 15 minute bus journey takes you to the motorcycle training front door. CBT Training can take up to 8 hours, typically taking between 6-8 hours, consisting of 5 parts of high quality training. The first part of the day looks to ensure that you pass the basics such as eye tests, bike maintenance and that you are road legal (if you have 12 points on your licence or your licence has expired). The main chunk of the day consists of off-road practice of basic manoeuvres, such as turning, U-turns, figure of eights and ensuring balance is safe to ride the roads. The instructors job is to ensure that you are safe to ride the roads and do not endanger yourself or others, they are not there to pass/fail you. If you require more training then that is what is required to get you to be safe on two wheels. if you are unsure if you are able to take a CBT test then this is not unusual, we understand the process of getting on two wheels can be confusing - we are here to help. 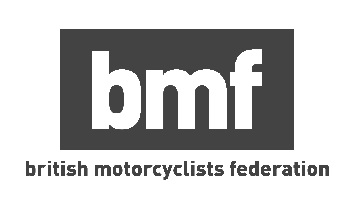 After you succeed in excelling with your CBT Training in Motherwell you will look to get your first two wheels and one of our experts may be the best person for you to have a conversation with in supporting your decision. Alternatively, consider our top 10 motorcycles to ride on a CBT licence or our top scooters for 2018. CBT Training in Motherwell looks to supply local areas such as Hamilton, Bellshill, Wishaw and Newmains. If you are looking for nearby RideTo locations then consider Glasgow, East Kilbride, Falkirk, Stirling or Edinburgh.